Here is a quick rundown of the musical for those who do not know about it. It is not sponsored or supported by the church. It is from the same people who created South Park. It is the same tasteless and vulgar humor that they are used to creating only worse because it is a live performance rather than prime-time television. 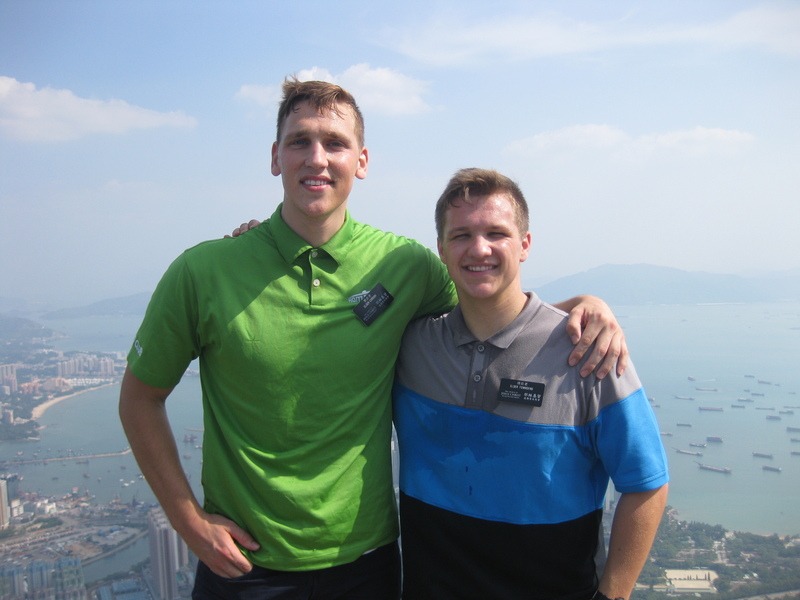 It is about two Mormon missionaries who go to Uganda on their missions. It focuses its mockery towards the church, but it really mocks all of organized religion in general. Now, we understand that their goal is to make money and they are doing a great job of that. So, to get offended and protest the show would be a down-right foolish and childish response. Seeing as how the true church of Jesus Christ is neither foolish or childish, we have taken something negative and turned it into something very positive. The following is the church’s official statement in response to the musical. Following in suite with the nature of their response we gathered together a group of 24 missionaries who alternated with each performance going in two groups of 12 to take advantage of this great opportunity. Before the shows we handed it thousands of cards which gave information for a church tour and how to download a copy of the Book of Mormon. After the show we would hand out copies of the Book of Mormon to anyone who was willing to read it. It was so much fun!! We were part of the group that covered opening night. As we gathered at the rendezvous point there was excitement building in the air as we loaded our bags and our pockets with as many books and cards as we could carry. I drove the van that took us all downtown. No-one had any idea as to how the crowds would react to our presents or to how everything would turn out, but we were full of faith and excitement and we were ready to conquer. We had a pep-talk/ prayer after we parked and then we were off. Elder Jorgensen and I were looking for the spot that would experience the most traffic, it wasn’t necessarily ideal for teaching or answering questions, but it was perfect for being in front of making an impression upon as many people as we could in the short amount of time that we were afforded. Our spot of choice was right next to the sidewalk that lead to the main entrance of the theatre. Thousands of people had to have walked past that point during the night. 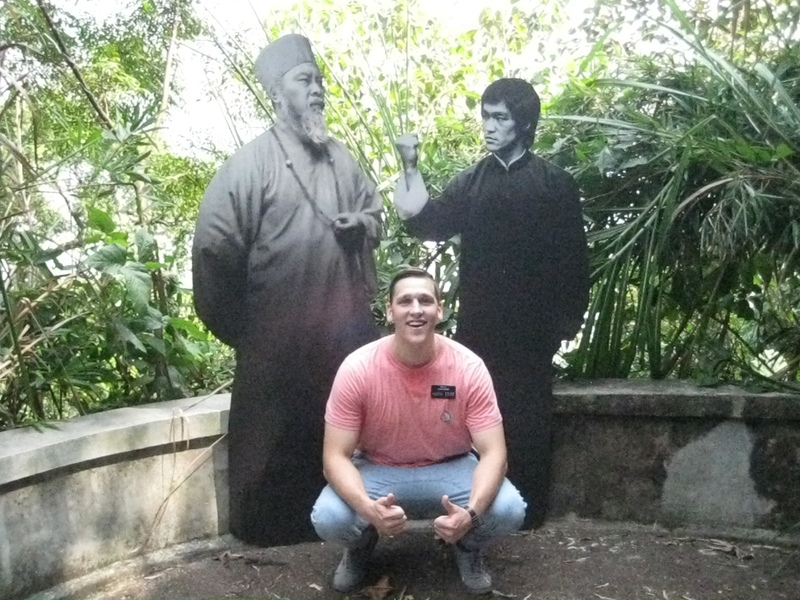 As people approached us we would great them by saying “HELLO!, how are you doing today?” With as much enthusiasm as we could muster, and trust me, Elder Jorgensen has more enthusiasm for missionary work than you can imagine. After they responded we would say, “We are the real Mormon Missionaries” Which solicited either a response of a pleasant surprise and some laughter, or… well the opposite, and enjoyable response. Luckily for us most of the people were very nice and happy to see that we were not there to protest. We would disperse our cards to the group and wait for the next wave. After the show we tried to hold as many copies of the Book of Mormon as we could in our hands keeping another case close by. Before the show the crowds were a steady flow for about 45 minutes as they came for the performance, but afterwards just as many if not more people would all come through in about 10 minutes. We couldn’t hand out books fast enough. I felt like one of the newsies standing in the middle of the chaos holding a books and shouting as people walked by, “Will you read the Book of Mormon?… Here you go… Have a blessed day!… Will you read the Book of Mormon?… oh, okay then, well God bless ya… Will you read the Book of Mormon?” Never did I ever think that I would get to a point on my mission that people were flocking to me to get a copy of the Book of Mormon to read, so much so that I ran out of books every single time. I hope that that somewhat adequately paints for you a picture of what I experienced those few nights. I could share plenty more details, but I my letter is plenty long enough! I just want to bear my testimony to y’all that if you have the right attitude that any situation can be turned from bad to beneficial. Attitude is everything! Have a great week! I Love y’all!! Well what a wonderful week in Aberdeen. This was the first full week that we had together here and it really shows that we work well together. I don’t think I have had better unity with any companion previous. We set a mission high for both of us at a good 16 other lessons (editors note: lesson without a member present) which is about twice as much as what people call a good week. I am not saying this to gloat but only to glorify God because this is also 4x the high for lessons in the last 5-6 months for the area. We had a pretty crazy schedule this last week with three trips to the north side of the island during the week for activities and missionary meetings & a birthday party at a mental rehabilitation center. Still with time being short throughout all this we often filled those random gaps of time with some great finding and the Lord always put someone in our path who was ready to listen. I have not done really anything different with people than I normally do. Just the Lord felt it was time to really do some work. With that we also made great progress with Simon who before was really confused and not motivated to being focused and eager to learn more. He really likes speaking English which is good and all but there is a reason the Lord called me Chinese speaking I have a hard time keeping things simple in my native tongue. Although we overcame these barriers and did well. We are also working with two potential families which is so great! next week they should be at church. Also with hope of a third on the way. Things are so good here in Aberdeen! My area is just almost all predominant finding. 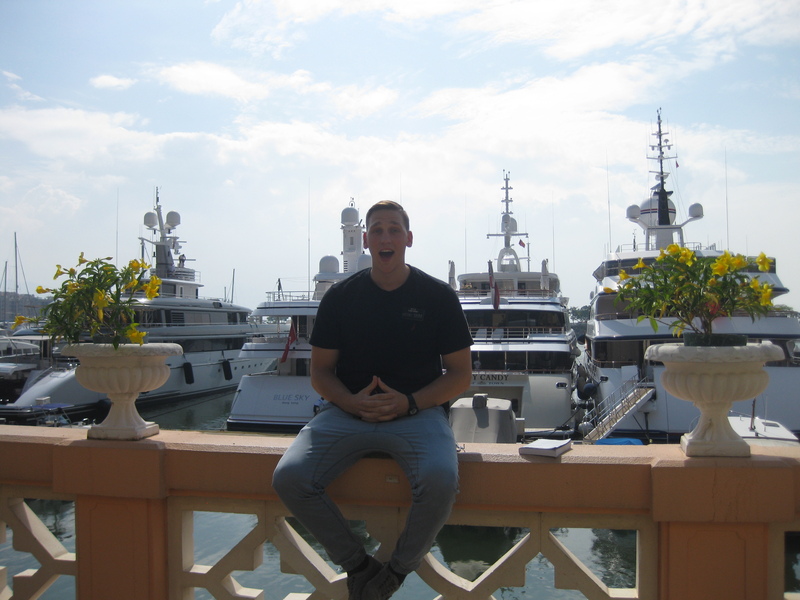 We see boats for days and plenty of huge yachts here in Aberdeen, which finds me having a desire to live in a yacht. Here are some pictures of my last two p-days in butterfly I will get some of Aberdeen soon. So this was a great week! We had an investigator make the step of baptism. Tre has aloud the gospel to change his life in so many ways. 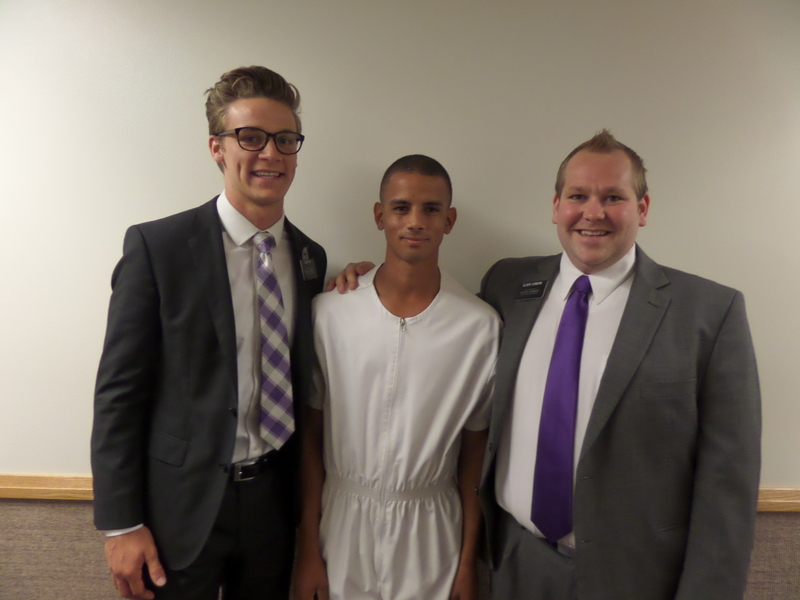 He came from a very rough past but the gospel is such that the atonement covers everything. He has really come to know that God is truly our Father and that He loves and cares for us, also that we get to live with him again and that the Gospel makes that happen. Seeing him grow towards God has really given me another witness of the glory that awaits us at the end of this life. We have this life to prepare to meet God lets not waste it. We have another investigator Tim that is a husband of a member. He is letting his desire to know the truth grow inside him and it is wonderful to see. Funny story I almost met them in NY haha small world we live in. So this week was my first week as District leader. What a GREAT opportunity I have to really come to know just how unworthy I am. HaHa I laugh because just how great it is that we are always going to be unworthy. This gospel is not a museum for the righteous it is a hospital for the sinners. We get to grow every day and perfect talents and abilities given to us to strength the kingdom of God. We are also given weaknesses so that we may humble ourselves to God and allow Him to shape us into who He needs us to be. It was such a great experience at District meeting. The Spirit did so much teaching and confirming. The spirit will always teach to our understanding and in a plainness that allows testimony to be built on solid truth without any room to second guess. What a great blessing that we have, to be able to have to spirit as a guide. Well a wonderful week in the orient! We had a lot of mix ups happen this last week in the zone and in my district. They sent away the sisters and brought a set of elders in. Which happens to be my MTC (Missionary Training Center) companion Elder Cederlof and he is training its awesome it work near him and both be training at the same time, and then the other sisters in my ward are training as well so 3 greenies (*editors note: new missionaries) now in the district (*editors note: group of missionaries in a defined area). Its good the ward clearly sees good things happening in this area and we are excited to see the effects of all the excitement new missionaries bring to an area. This week we also made some great progress with our investigators. We were able to organize a ward activity after some reluctance but it will be awesome we have already got 14 investigators coming and should be getting more. We are doing a good old potluck when I said the idea no one knew what it was but they like the idea. Our ward mission leader is so enthusiastic about all this he has taken a brake from work to do full time church service. It will be a fantastic event! Our investigators have really made some fantastic progress. We have now got uncle Fighter to church twice in a row and he has said he really wants to get baptized its just getting over a lot of addictions. First comes the desire then comes the change. We also got Peter Lo to commit to coming to our activity. We are going to introduce him to Gary because they both are in wheel chairs, love speaking English, Love America, Hate communism, I think they will be best friends for sure. The biggest difference maker in the work this week is something that was expressed by our investigators. We heard on multiple occasions: You really care about me don’t you? with a look of tears on their face. People are really influenced by the amount of love you can show if you look at them the way Christ does. Well fantastic week. Love you all! Enjoy the little things!